Tattooed Asia provides a glimpse into the origins and historical, religious, social, and cultural significance of tattoos in Thailand, the Philippines, Taiwan, Japan, and other Asian countries, as clues for understanding different Asian cultures. Tattooing has been a celebrated art form throughout Asia for thousands of years. How has the art of tattooing progressed through Asian culture over time? Which Asian countries adopted the art form first? To answer these and some other questions, Asia Culture Center (ACC) holds a special exhibition Tattooed Asia, which will shed new light on Asian culture and the values that it represents. One of the earliest physical records of tattoo art comes from Japan, in the form of clay figurines from around 3,000 B.C. that have etched and painted tattoo designs on their faces. The revival of the tattoo culture came during the 20th century, and tattoos recently came into fashion as a means of self-expression and art among the younger generations. Today, Asian-inspired tattoos abound, crossing and uniting people of different cultures, races and sexes. 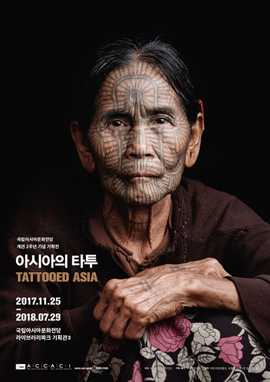 The exhibition is a multiangle review of Asia’s tattoo culture and its history, through exhibits collected through local surveys in Thailand, the Philippines, and Japan. 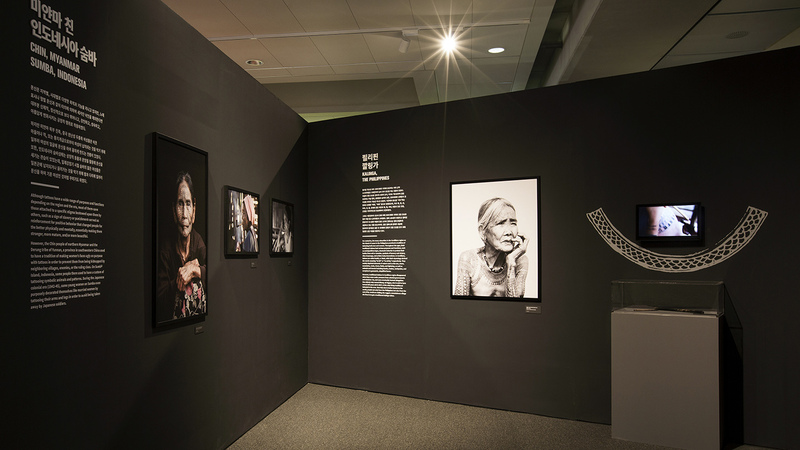 It brings together numerous photographs, illustrations, and videos of traditional tattoos, as well as a wide variety of exhibits including the tools used by the great monk of Wat Bang Phra, and the 100-year-old tattoo artist Whang-od Oggay in Kalinga, Philippines. Tattooed Asia will greet visitors with videos of ethnic minorities in Taiwan (courtesy of the National Palace Museum of Taiwan), interviews with traditional tattoo artists in Japan—including the Horiyoshi family—and the “Projection Mapping,” which display reinterpretations of traditional tattoos across Asia. Other major works include photographs made by Asia Culture Institute and individuals from all around the world, depicting tattoo culture of Indonesia, Myanmar and neighboring Asian countries.